Here’s a visual representation of what makes for a good blog. It’s not a complete list, but it is my perspective. Are you PARTICIPATING in social media networks or passively READING content? Are you writing and including content that YOU are interested in? That other PEOPLE are interested in? 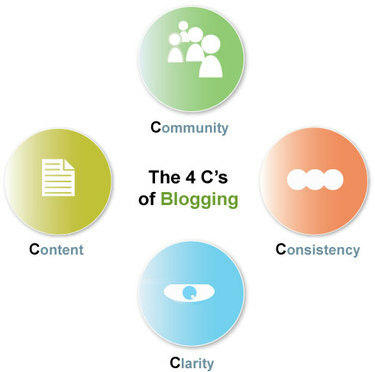 Do you have a clear VISION for your blog? What makes it DIFFERENT and special? Is your “blog personality” CONSISTENT with who YOU are? Are you offering a consistent EXPERIENCE to your community?